I've been using this product for about a year now. I've watered it down 50-50 in a pump spray bottle. I've used it on pistols as well as Ar 15 bolt tails. Ive also used it on the front of my revolver cylinders. With about 30 minutes or so dwell time, a tooth brush will remove 95 percent or more of the fouling rings. Two minutes with a lead cloth finishes off the rest. 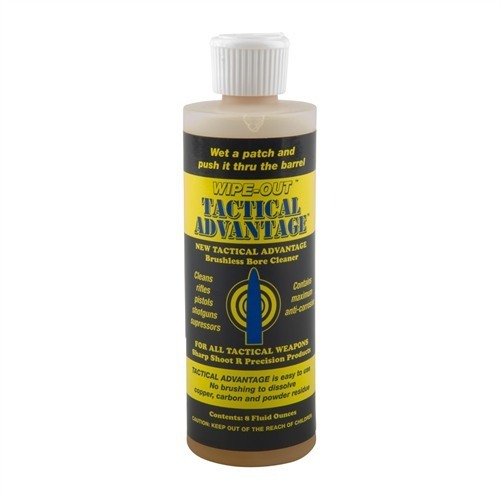 I shoot lead and jacketed bullets and this makes it much easier to clean the stuff off. It works well in pistol bores and on the frames as well. I always follow up with a good quality oil so I can't comment on the protection of this product. I can say that it seems to thicken up quite a bit after its applied by the spray bottle. I like it so far and will continue to use it.